Underground Hip Hop collective The Visionaries haven’t put out a project since 2007’s mixtape EST 1995 but that’s about to change. 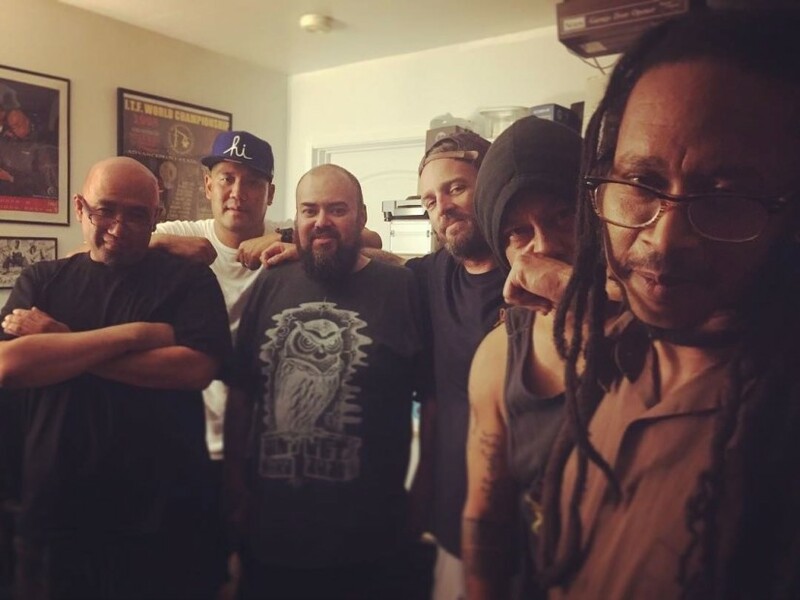 In a recent Instagram post, it was revealed the group — comprised of 2Mex, LMNO, Lord Zen, Dannu, KeyKool and DJ Rhettmatic — is currently working on a new album. Rhettmatic, who co-founded The Visionaries in 1995, insists the group never officially dissolved – they were simply busy with their own solo endeavors. “I only can speak for myself, but I can safely say that the crew has never, ever broken up, though some people might’ve thought we did,” Rhettmatic tells RealStreetRadio. “We’re still brothers, but I think we all had to step away from the business aspect and from each other so we can all grow. KeyKool adds, “We’ve grown as people and as artists, but our love of Hip Hop and b-boys hasn’t changed. We’re having as much fun now as we did when we made [1998’s] Galleries. We’re just expressing what’s going on with us now through our new music. A lot has changed over the past seven years. In 2016, 2Mex was treated for complications stemming from diabetes, which resulted in a leg amputation. Meanwhile, Rhettmatic co-founded the Beat Junkies Institute of Sound in Glendale, California. They’ve also needed time to evolve as both artists and human beings. “I know some of the guys were anxious to make another album, but like every other crew, each of us have gone through trials and tribulations throughout these past years to get where we are finally now,” Rhettmatic says. “For me personally, I just didn’t want to force making another album. No further details on the project are available at this time but it sounds like it won’t be long.